On Wednesday, March 13, the Mid-Carolina High School Athletic Department, along with the Mid-Carolina High School Athletic Booster Club, hosted a Fall/Winter Athletic Awards Banquet. 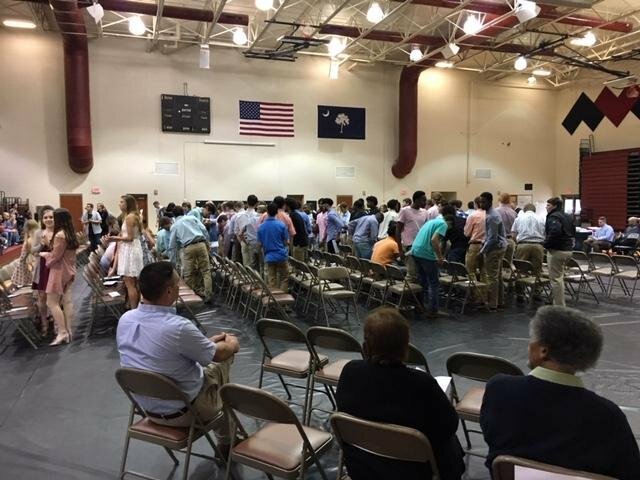 Student-athletes who participated in their respective sport during the fall and winter seasons at Mid-Carolina High School were honored. The event consisted of the awards program followed with dinner catered by Shealy’s BBQ. Student-athletes spend a tremendous number of hours working to improve their skills, and we would like to thank them for their hard work.